Campaign US: Wieden+Kennedy and The Atlantic win ADCOLOR’s Ad of the Year for “Typecast”. The intense, intrapersonal drama “Typecast” by Wieden+Kennedy won Ad of the Year at the 11th Annual ADCOLOR Awards–the industry’s most prominent event recognizing work that promotes diversity and multiculturalism—held this week in Los Angeles. 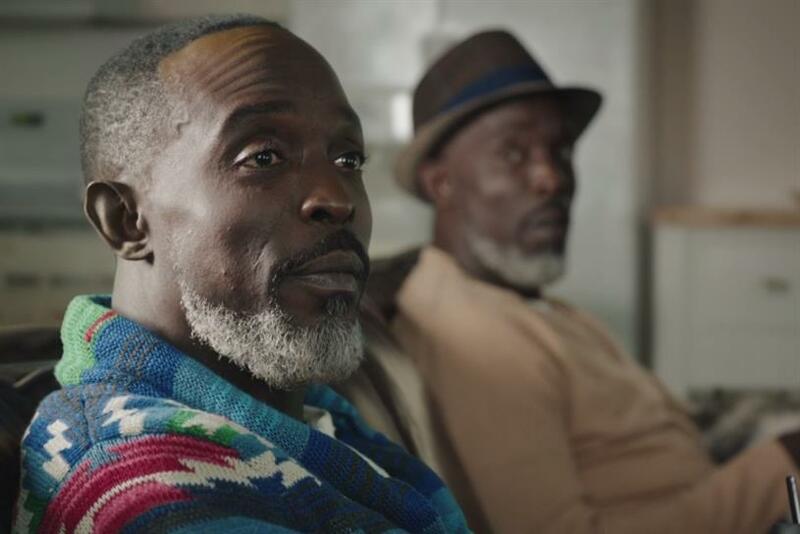 “Typecast” features Michael K. Williams, best-known for playing Omar Little on “The Wire,” interrogated by different versions of himself, wondering aloud whether his most famous roles have been determined for him by race and circumstance. W+K created it for The Atlantic as part of the “Question Your Answers” campaign. The other nominees for the Ad of the Year were “It’s Not Just What We Listen to, It’s Who Are” for YouTube by Anomaly, “The Love Cam” for the NFL and the Ad Council by R/GA, “Keep Walking America” for Johnnie Walker by Anomaly and “Blood Equality” for GMHC by FCB Health. The Rising Star Award, given to an up-and-comer with less than seven years’ experience in the industry, was awarded to Jessica McGlory, associate director, paid social lead at The Engine Group. The other nominees were Hayet Rida, senior strategic planner at FCB Chicago, and Christopher Vega, copywriter at BBDO Worldwide. Ronnie Dickerson Stewart, vp, group director of talent engagement and inclusion at DigitasLBi, NA, took home the Change Agent award, given to someone who uses their position to promote inclusivity. The other nominees were God-is Rivera, associate director, social media strategy at VML, and Alandha Scott, global head of shows marketing at YouTube. The Innovator Award, for imagination and breakthrough developments, was awarded to Morgan DeBaun, founder and CEO at Blavity. The other nominees were Eliana Murillo, head of multicultural marketing at Google, and Adrian Isles, software engineer at YouTube. Kofi Amoo-Gottfried, head of brand and consumer marketing at Facebook, won the Rockstar Award, given to a visionary leader within the industry. The other nominees were Abiola Oke, CEO & publisher at Okayafrica, and Suresh Raj, worldwide chief business development officer at Ogilvy & Mather. And the MVP Award went to Wieden+Kennedy & Courageous Conversation. The other nominees were The Advertising Club of NY & PWC LLP and BlackDoctor.org & Substance Abuse and Mental Health Services Administration.